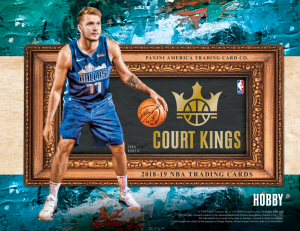 Luka Doncic 2018-19 COURT KINGS HEIR APPARENT RC AUTO 022/199! 🔥 MAVS! MINT! 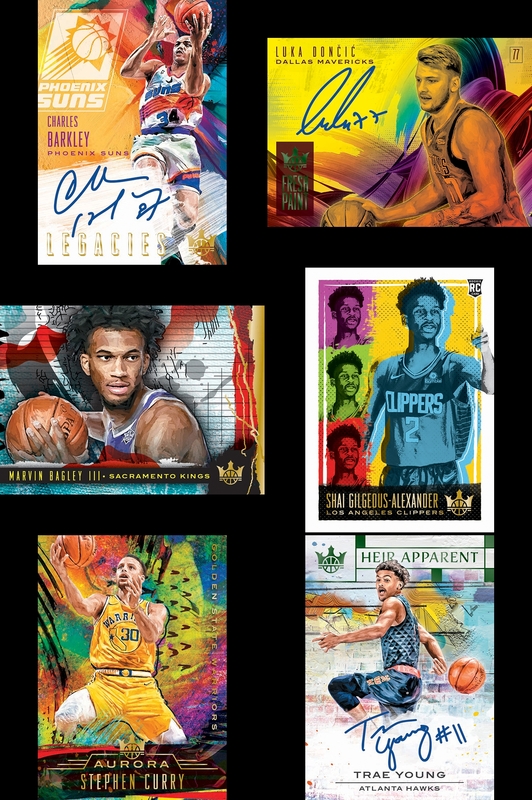 Doc RiversJeremy LinJohn CollinsKevin HuerterKevin WillisLenny WilkensOmari SpellmanShareef Abdur-RahimTaurean PrinceTheo RatliffTrae YoungTree RollinsVince CarterAl HorfordBill RussellBill WaltonBrian ScalabrineDave CowensDee BrownDino RadjaJaylen BrownJayson TatumKyrie IrvingLarry BirdPaul PiercePaul SilasRobert Williams IIISam JonesTerry RozierTom Satch SandersTony DelkCaris LeVertD'Angelo RussellDeMarre CarrollDzanan MusaJoe HarrisKenny AndersonRodions KurucsSpencer DinwiddieDell CurryDevonte' GrahamFrank KaminskyJeremy LambKemba WalkerMarvin WilliamsMiles BridgesMuggsy BoguesTony ParkerB.J. ArmstrongBill CartwrightChandler HutchisonDennis RodmanHorace GrantJabari ParkerKris DunnLauri MarkkanenLuc LongleyStacey KingWendell Carter Jr.Will PerdueZach LaVineBrad DaughertyChanning FryeCollin SextonJim ChonesJordan ClarksonKevin LoveLarry NanceRodney HoodZydrunas IlgauskasBrad DavisDeAndre JordanDennis Smith Jr.Derek HarperDirk NowitzkiDwight PowellHarrison BarnesJ.J. BareaJalen BrunsonJamal MashburnJason KiddJim JacksonKostas AntetokounmpoLuka DoncicMark AguirreMaxi KleberRolando BlackmanSam PerkinsShawn BradleyAntonio McDyessDan IsselFat LeverGary HarrisIsaiah ThomasJamal MurrayJarred VanderbiltMahmoud Abdul-RaufMarcus CambyMichael AdamsMichael Porter Jr.Nikola JokicPaul MillsapRaef LaFrentzAndre DrummondBill LaimbeerBlake GriffinBruce BrownHenry EllensonIsh SmithJoe DumarsJohn SalleyJose CalderonKelly TripuckaKhyri ThomasLangston GallowayReggie JacksonRichard HamiltonRick MahornZaza PachuliaAl AttlesChris MullinDeMarcus CousinsDraymond GreenJacob Evans IIIJonas JerebkoKevin DurantKlay ThompsonMitch RichmondSarunas MarciulionisStephen CurryStephen JacksonCalvin MurphyChris PaulClint CapelaCuttino MobleyElvin HayesGary ClarkGerald GreenHakeem OlajuwonJames HardenKenny SmithMarquese ChrissRudy TomjanovichSam CassellTracy McGradyYao MingAaron HolidayBojan BogdanovicDarren CollisonDomantas SabonisGeorge McGinnisHerb WilliamsMark JacksonMyles TurnerReggie MillerThaddeus YoungVictor OladipoAvery BradleyDanilo GallinariDarius MilesErnie DiGregorioJerome RobinsonKeyon DoolingLou WilliamsQuentin RichardsonShai Gilgeous-AlexanderTobias HarrisBrandon IngramCedric CeballosElden CampbellGail GoodrichGlen RiceJamaal WilkesJerry WestJohnathan WilliamsKareem Abdul-JabbarKentavious Caldwell-PopeKobe BryantKyle KuzmaLeBron JamesLonzo BallMagic JohnsonMoritz WagnerMychal ThompsonNick Van ExelRick FoxShaquille O'Neal Spencer HaywoodSvi MykhailiukTyson ChandlerVlade DivacGarrett TempleJaren Jackson Jr.Jevon CarterMarc GasolMike ConleyOmri CasspiYuta WatanabeAlonzo MourningDwyane WadeGoran DragicHassan WhitesideJosh RichardsonKelly OlynykRay AllenRony SeikalyTyler JohnsonUdonis HaslemWayne EllingtonDonte DiVincenzoEric BledsoeGiannis AntetokounmpoJason SmithJunior BridgemanKareem Abdul-JabbarKhris MiddletonMarques JohnsonOscar RobertsonSidney MoncriefAndrew WigginsDerrick RoseIsaiah RiderJared TerrellJosh OkogieKarl-Anthony TownsKeita Bates-DiopKevin GarnettTerrell BrandonTyus JonesWally SzczerbiakAnthony DavisIan ClarkJrue HolidayNikola MiroticAllonzo TrierCharlie WardCourtney LeeEnes KanterJohn StarksKenny Sky WalkerKevin KnoxKristaps PorzingisLatrell SprewellMario HezonjaMitchell RobinsonPatrick EwingTim Hardaway Jr.Walt FrazierBrent BarryDennis SchroderDetlef SchrempfHamidou DialloNerlens NoelPaul GeorgeRussell WestbrookSteven AdamsVin BakerXavier McDanielAaron GordonD.J. AugustinEvan FournierJerian GrantMo BambaNick AndersonNikola VucevicRafer AlstonScott SkilesShaquille O'Neal Tracy McGradyAllen IversonBen SimmonsCharles BarkleyDikembe MutomboJimmy ButlerJJ RedickJoel EmbiidJulius ErvingLandry ShametZhaire SmithCharles BarkleyDeandre AytonDe'Anthony MeltonDevin BookerElie OkoboJeff HornacekJosh JacksonMikal BridgesT.J. WarrenWalter DavisAl-Farouq AminuAnfernee SimonsBill WaltonCJ McCollumClifford RobinsonDamian LillardGary Trent Jr.Jusuf NurkicMaurice HarklessRod StricklandBuddy HieldChris WebberDe'Aaron FoxDoug ChristieJason WilliamsMarvin Bagley IIIPeja StojakovicWillie Cauley-SteinYogi FerrellAvery JohnsonDavid RobinsonDeMar DeRozanGeorge GervinJames SilasLaMarcus AldridgeLonnie Walker IVPau GasolRudy GaySean ElliottTim DuncanJalen RoseJerome WilliamsJonas ValanciunasKawhi LeonardKyle LowrySerge IbakaBryon RussellDarrell GriffithDerrick FavorsDonovan MitchellGrayson AllenJae CrowderJoe InglesJohn StocktonKarl MaloneKyle KorverMark EatonRicky RubioRudy GobertBradley BealDwight HowardJohn WallLarry HughesOtto Porter Jr.Trevor ArizaTroy Brown Jr.